It's been a little while since I posted an update on the Log cabin Quilt Project for Siblings Together. 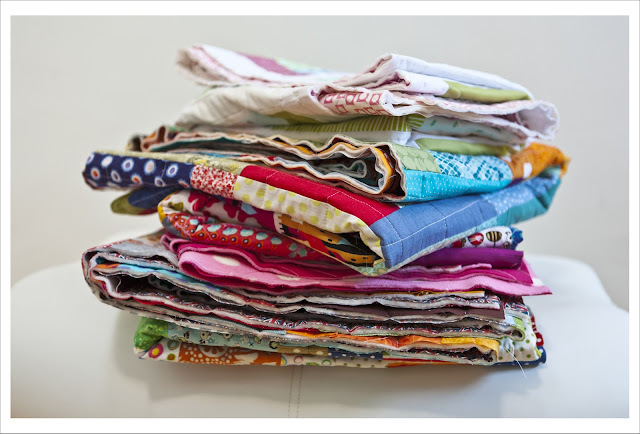 create 4 quilts backs, baste 4 quilts and quilt 4 quilts. So all I have left to do now is the binding, labeling and of course delivering the beauties to the charity. This will all be done over the next weeks or so and I will of course keep you all posted. Enjoy your hopefully sunny weekend. The sun is shining here in London (at the moment) and I'll keep fingers and toes crossed that it will remain like this. Fabulous job you! Such a great contribution. Wow, you rock! Thank you again for all the work on this project and letting me be a part of it too! Oh, so exciting! Good job! Total rockstar! Thanks so much Judith!